Estill Voice International has a recognised training program, beginning with the Certificate of Figure Proficiency (CFP) and leading to a written examination covering anatomy, acoustics and the development of Estill Voice Training, followed by course internships where teaching ability is assessed. Candidates are guided by an Estill Certified Mentor and must satisfy well defined examination requirements before certification is granted. If you are interested in becoming a qualified Estill teacher, your first step is to gain your Certificate of Figure Proficiency. Jenny has Advanced Testing Privileges with Service Distinction and is qualified to mentor and examine candidates at the highest level of Estill Voice Training. Jenny regularly organises EFP Practice Groups (currently being taken by Genevieve Pittorino, EMT each month) and EMT Training sessions every month. 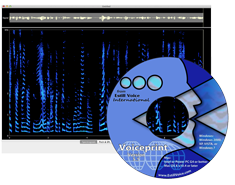 Voiceprint™ is a real-time spectral analysis program that can record, analyze, and play back the voice. The CFP exam is administered using Voiceprint and the CMT exam has a more demanding Voiceprint component. The Certification Manual can be accessed here. Further information about Certification can be found here.